Pete is a VP of Technology with ThreeWill. Pete’s primary role is driving the overall technology strategy and roadmap for ThreeWill. Pete also serves as ThreeWill’s Hiring Manager and is constantly looking for new talent to join the ThreeWill family. 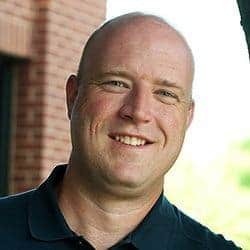 Pete Skelly has over 20 years of experience in SMB and Enterprise application support, custom development, architecture design and project management. Pete was a Principal Consultant at ThreeWill with responsibilities ranging from solution design and development to account and project management across Financial Services, Healthcare, Insurance and Communications industries. Prior to ThreeWill, Pete worked for HP where he was a Technical Lead and Architect designing and developing world wide applications for service provisioning and help desk automation. Pete holds a BA in Philosophy from the University of Hartford. Pete enjoys spending time with his wife and two sons, and the occasional round of golf.